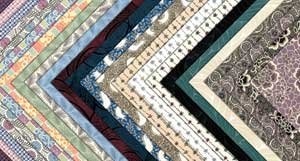 How fun would it be to make a Downton Abbey quilt for your favorite Downton Abbey fan? This would make a unique and cherished gift for anyone! 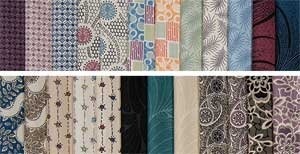 Or perhaps a smaller project like a tote bag or pillow would be the perfect gift. 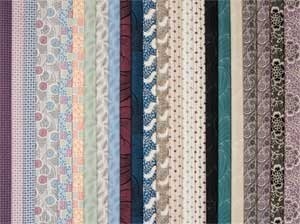 Check out all the lovely fabrics available in full yardage, 5" charm packs, 10" square collections, or 2 1/2" strip collection. To get started with a project, there are two patterns available - a Downton Abbey Tuscany Tote Bag Kit, and the Victorian Violet Quilt Pattern. Lovebug Studios sponsors a mystery quilt along. Find out more information on how to get the pattern instructions by clicking here.